VICTORIA, Honduras , Dec 3 2014 (IPS) - The town’s dynamic mayor, Sandro Martínez, assumed the commitment of turning the Honduran municipality of Victoria into a model of food and nutritional security and environmental protection by means of municipal public policies based on broad social and community participation and international development aid. The initiative began to be put into practice four months ago. It was inspired by what the United Nations Food and Agriculture Organisation’s (FAO) Special Programme for Food Security (SPFS) achieved in the Tolupan indigenous community of Pueblo Nuevo, a village located 15 km from the centre of Victoria. In that tribe – as the Tolupan refer to each one of their communities – whose official name is Las Vegas de Tepemechín de Pueblo Nuevo, population 750, 29 children overcame malnutrition thanks to a comprehensive food security plan implemented over the last two years. 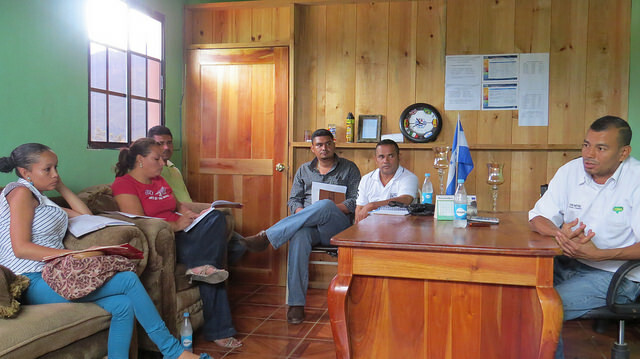 “I’m proud of this village, of what they have managed to do in such a short time,” the mayor told Tierramérica. “I grew up near the Tolupan and now that I’m mayor, they are a priority for me. I want to extend this experience throughout the entire municipality of Victoria. “They have been empowered so much by their experience that one day I went there to cut sugarcane and I left the stalks in the street. I was so surprised when a boy came up and said ‘No Mr. Mayor, we don’t dump garbage here!’ That day I understood that everything they say about this village is true,” he added. The tribe’s achievements are based on the use of good practices in agriculture and the development of a nutritious diet. They now grow their own food, and hunger has become a thing of the past. Pueblo Nuevo is now a model of food security and nutrition in the eyes of local and international bodies, thanks to the local indigenous community’s efforts to improve their quality of life, and to their new level of organisation and discipline. The swift transformations have included: clean houses, which families no longer share with their animals, the use of organic fertiliser, the abandonment of the slash-and-burn technique to clear fields for planting, purified drinking water, family gardens and reliable production of staple crops like maize and beans. Similar remarks were made by other members of the community. The Tolupan live in the mountains of the northern department or province of Yoro and in the central department of Francisco Morazán. They are one of the few indigenous communities in this country who have preserved their native language, Tol. The population of the country is 90 percent mestizo or mixed-race, eight percent indigenous and Garifuna, and two percent white, according to official statistics. The people of Pueblo Nuevo are so proud of what they have achieved that they want to publish a book to tell their story. The municipality of Victoria is home to 29,840 people, including 14,000 Tolupan Indians. As a result of the Pueblo Nuevo success story, the mayor’s office did not hesitate to accept the FAO-SPFS proposal to implement the Municipal Food and Nutritional Security Programme (Promusan) as a public policy. Promusan is a FAO-SPFS initiative being carried out in 73 of the 298 municipalities of this Central American country, where the U.N. agency identified serious food security problems. The programme is financed by the municipal governments and the FAO, which has support from Canada. In Victoria, Promusan has already chalked up significant accomplishments by bringing together the community, health and educational institutions, the local government and international development cooperation agencies that are working in different villages. That was explained by César Alfaro, a FAO technician who leads Promusan. The idea, he told Tierramérica, is to transfer the methodology used by SPFS and other agencies and institutions that work in the area to rural development, environmental and food and nutritional security projects. 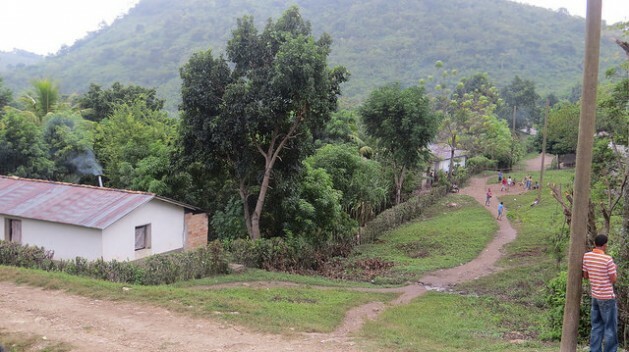 One example of this is the Pedro P. Amaya public secondary school with an agricultural orientation which, due to the almost nonexistent support from the state, survives thanks to the hard work of the teachers and the people of Victoria themselves, who have seen the students applying theory in practice, teaching sustainable agricultural techniques to local farmers. “I used to think agriculture was just about using the machete and hoe, but now I know that’s not true,” Josué Cruz, a student, told Tierramérica. Victoria is a municipality rich in minerals like gold, lead, iron, silver and zinc, and wood that can be logged as well. In addition, it will soon have a nearby hydroelectric dam, “but one that respects the environment,” the mayor pointed out. “My aim with Promusan is to change people’s lives, make Victoria a green municipality; we are the least polluted part of the entire department. Food security is my priority, we want to have health and education; we want to be a model municipality in Honduras,” Martínez said.